It's amazing what some people put up with in the name of "playing along". I think I've posted this photo before and in case you didn't guess, this is my mom taken last summer shortly before her 90th birthday. 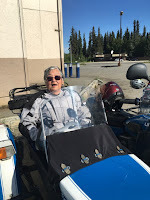 After this, we headed to Pioneer Park aka Alaskaland, for a credit union picnic (free food if you're over 55). The blue skies and lack of snow does look real nice compared to our -30°F temperatures today. Shortly after this on her 90th birthday, she did the zip line during the family reunion in Seward, AK. 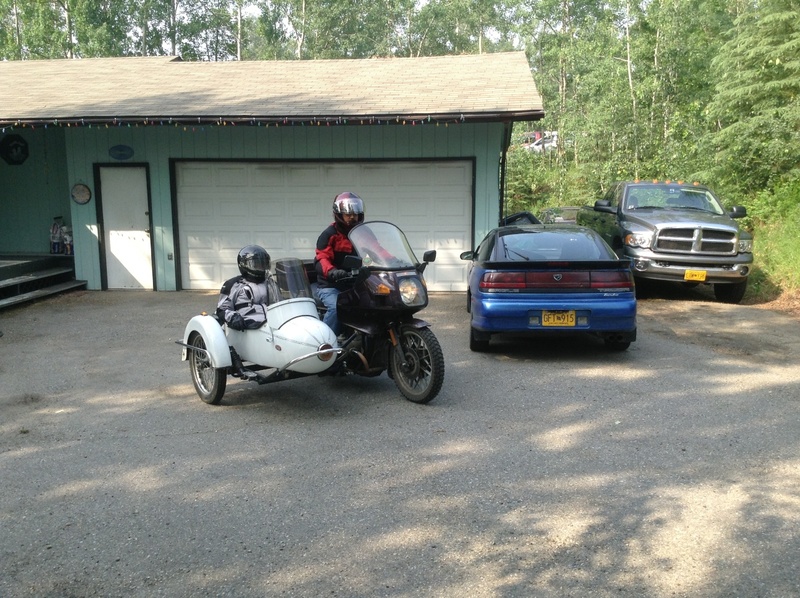 I just found the post showing my mom riding in the Cozy sidecar attached to the '83 R100RT. This was in July, 2013. I didn't need to ask. She wanted a ride and has also ridden in the Cozy sidecar as well though I'm not sure what happened to the picture. She is an awesome woman. She spent her high school years in a Japanese internment camp. She was a nurse. She helped raise her grand kids in Oregon. And she goes to the gym twice a week! Despite what you say, your mother looks like she is enjoying herself!! Good on her for being so adventurous!